Date - Tuesday, December 08 2015. Venue - Volkswagen Arena, Wolfsburg. Luke Shaw, Wayne Rooney, Marcos Rojo, Phil Jones, Antonio Valencia, Ander Herrera and Morgan Schneiderlin ruled out. Patrick McNair doubtful. Felipe Lopes ruled out. Luiz Gustavo doubtful. Verein für Leibesübungen Wolfsburg e. V., commonly known as VfL Wolfsburg, and nicknamed Die Wölfe (The Wolves) are a professional football club based in Wolfsburg, Lower Saxony, Germany; and were founded in 1945 as VSK Wolfsburg, a new club formed in the aftermath of World War II, taking on from the first football club BSG Volkswagenwerk Stadt des KdF-Wagen, which was formed primarily with autoworkers building the historic Volkswagen Beetle. After long periods of struggle in the Verbandsliga Niedersachsen, Regionalliga Nord, Amateur Oberliga Nord, and Bundesluga mediocrity; Wolfsburg have now emerged as one of the most competitive clubs in German Football, especially since the hiring of taskmaster Felix Magath, who with the high octane striker partnership of Edin Dzeko and Grafite, led them to their first Bundesliga title in 2008/ 2009. 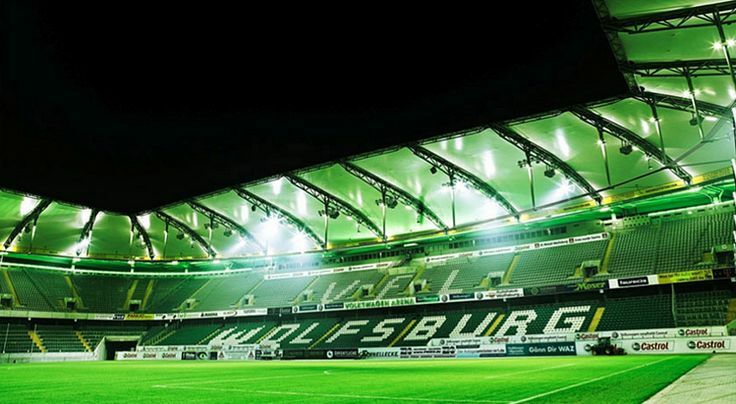 Wolfsburg play their home games at the Volkswagen Arena. With the departure of Kevin De Bruyne to Manchester City, and Ricardo Rodriguez's subdued form - Wolfsburg have struggled to find a consistently excellent player through the duration of the current campaign. While the likes of Träsch, Dost, Kruse and Draxler have performed well (the latter attacking trio in spurts), the defensive duo of Vieirinha and Naldo have emerged as Wolfsburg's most influential players. poisson broken record, best ignored. Yea...not sure how we're going to beat them. If we play like we did today, we will definitely win. If we're lucky we'll score a goal. 0-0 draw and hope CSKA beat PSV for us. Only way. I just put 0-0 for every game now. We're going out. The PSV games sealed our fate really. Will be an easy win for Wolfsburg. Id love to play against this United team. Easy. Think we will struggle we had our chance. Pretty certain we are going out of what had to be the easiest group. We will lose this game and not score. A very comfortable victory for Wolfsburg who are a much better team than us. Carlo Ancelloti will be in charge of United by next weekend. Europa League, here we come! We will lose this game and not score. A very comfortable victory for Wolfsburg who are a much better team than us. Carlo Ancelloti will be in charge of United by the weekend. If losing on Tuesday means a different manager by the weekend, I'd take that. We better hope that 0-0 is enough to qualify, if not we're fecked. 2-0 I doubt they will be as careless as west ham with finishing. I think this clean sheet record will end soon because we do concede a lot of chances each game. I wouldn't give two shits if we conceded every game from now until the end of the season as long as we scored goals! I'm going to put money on us not scoring, to make me feel a bit better when it happens. whereas today I thought we'd win without too much effort. PSV will score that's for sure. I hope CSKA beat PSV so we don't have to worry about our game. Obviously hoping we win but not terribly optimistic. So preparing myself for the Europa League. I reckon we send the under 21s to play seeing as they're not playing that much at the moment. They can't be any worse than the first team and it would be a good experience for them. It's very likely that we won't win. Another borefest. The only positive being us not getting through will accelerate the end of the philosophy. 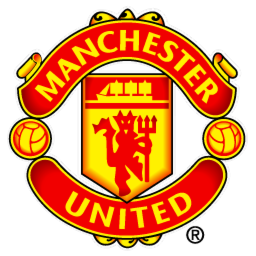 I honestly don't know how this United side will score a goal in Germany....or England come to think of it. We royally fecked this season CL when we could have coasted this group. Please no fellaini. Probably going to be 0-0 or 1-0 to either side. Let's hope whatever happens, PSV doesn't match our result. am hoping United mirror my other team Wycombe, looked utterly rubbish in the league midweek, and then beat Millwall away in the cup today! United have done the rubbish league performance part! Really think it'll be 0-0 and we're out. And may god have mercy on us. I will be genuinely shocked if this game doesn't end in a 0-0 draw. If it's 0-0 at 89mins then we should just field an ineligible player so that we get banned from European competition. We could bring Giggs on. I'd fecking register Giggs as a player. Would be better than a lot of what we have now. We're gonna win this one, when we're not expecting much.